Fresh Selections. Experienced Staff. Professional Delivery. Everything You Need. Hartford Florist Supply, Inc. is a Connecticut wholesale floral distribution company dedicated to providing our customers with the freshest, highest quality product available in the marketplace today at a competitive price point. We work with our farm partners to source the best product available from farms around the globe to exceed your expectations every time you trust us with your order. We work hard for you to ensure that every bloom you ordered arrives exactly how you envisioned it when you trusted us with your business. All of us at Hartford Florist Supply, Inc. work in a collaborative effort with our customers and farms to link together a chain of satisfaction and care from farm harvest to end consumer delivery. Allow us to serve your floral needs and let us treat you like you deserve to be; like part of our family. Please contact us and allow us the opportunity to earn your business and prove our value to you. Take a moment to view our current specials to see the offerings and availability of some of our preferred farm partners. Being able to choose varieties and exact colors of specific items is what makes your order arrive seamlessly, and without any unwanted surprises. Working closely with you and making sure you have access to exactly what you want is part of the value of dealing with a partner in the business. We are here to make this part of your job as stress free and effortless as possible. If we can concentrate on your needs and your business, then you will have that much more time to concentrate on satisfying your customers. Then we all win together. From the world’s finest farms to your door, with extraordinary care, we welcome and appreciate the opportunity to take care of you. We work closely with our South American partner flower farms in Colombia, Ecuador, Costa Rica, Peru, and Chile, as well as our long-standing relationships with the best growers in Canada. 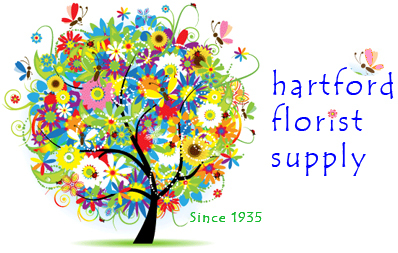 At Hartford Florist Supply we import and use the best possible growers for all of our product. From exotic blooms from Thailand and Singapore, waxflower from Australia, to lisianthus and protea from Israel, we source from the best growers in order to satisfy our customers specific and wide ranging floral requests. Our knowledge and partners in the Holland market, Italian producers, as well as the growing African market place, assures you the best selection of floral choices from the most dependable sources in the world. We also continue to locate and partner with the best domestic growers that the United States has to offer. Tulips from New Jersey, peonies from Vermont, iris from North Carolina, as well as all the varieties that the wide ranging floral palate of Florida and California can provide. We have refrigerated shipments arriving up to four times a week to ensure that all the freshest and most diverse flowers from across America are available to you with the quality and freshness you deserve. Should you wish to have your farm goods considered for distribution to our clients, please contact us today. © Copyright 2013, Hartford Florist Supply, Inc. All rights reserved. Design by Fine Cloud Interactive.